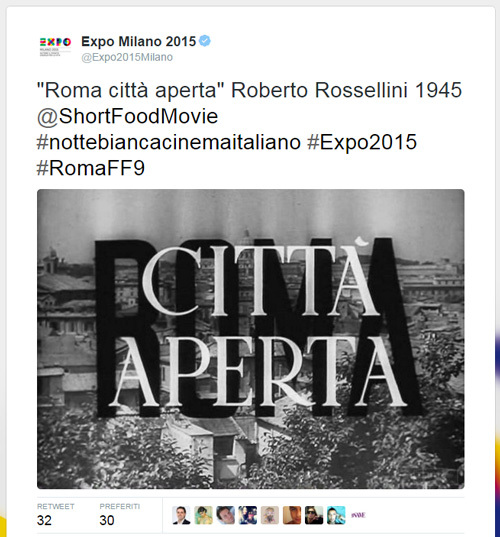 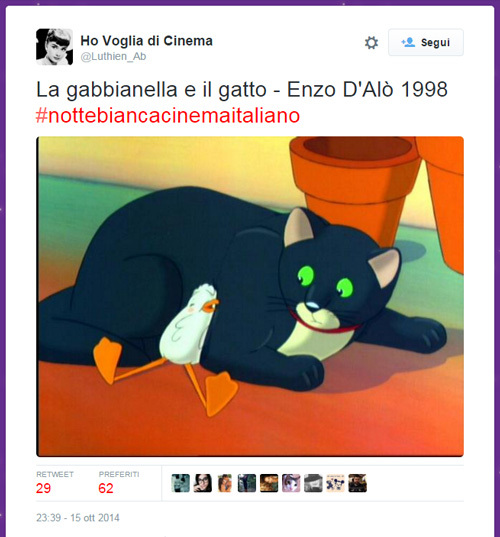 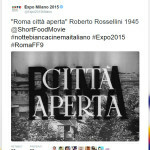 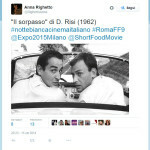 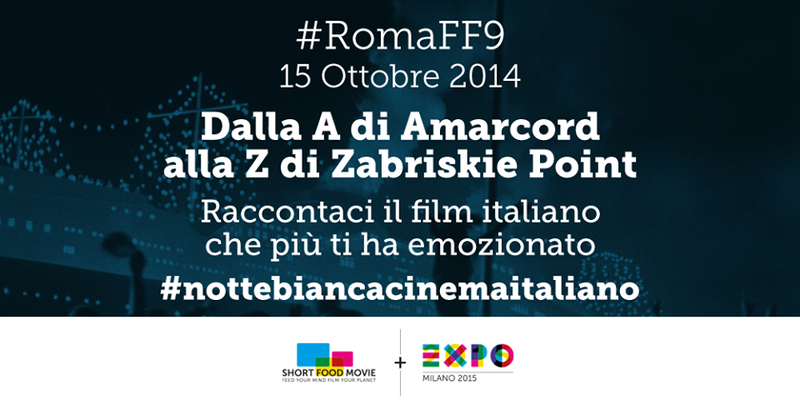 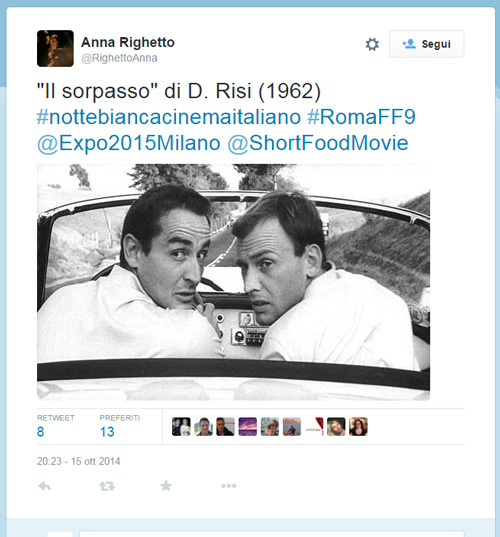 #Nottebiancacinemaitaliano is the live marathon on Twitter, made by Expo2015 in collaboration with Short Food Movie during the International Festival of Film in Rome. 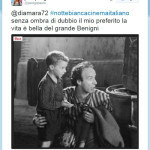 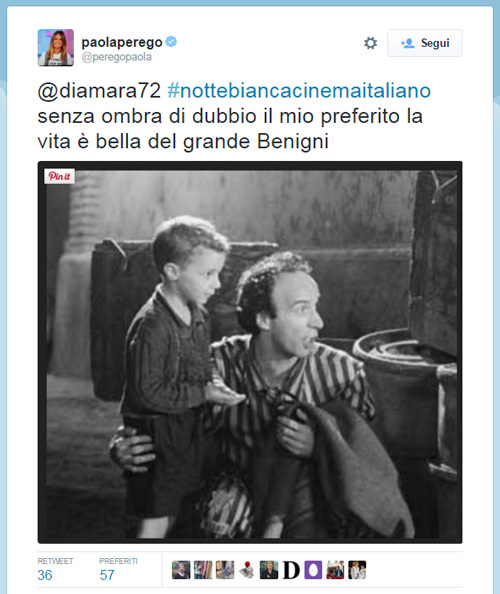 The followers were involved in an A-Z List of 100 italian movies that touched us the most and that made the history of cinema. Click here to see all the movies!